Temptation Resort Spa is conveniently located on the fourteen Mile-long Island between the hotel zone's "Party Central" and downtown Cancun. 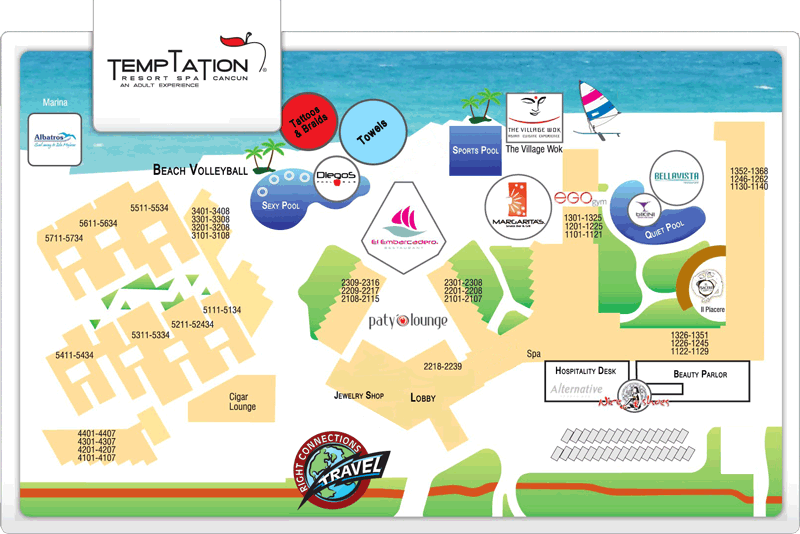 Guests arriving into Cancun International Airport will travel just 20 short minutes to Temptation Resort Spa. 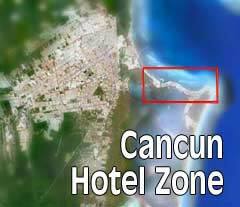 Transportation from Cancun International Airport to Temptation Resort Spa is not included in the rate of our resort. We can schedule you for our semi-private transportation (only from the airport to Temptation, you may share the ride with other people going to Temptation). Transportation can be added to your order at the time of booking or by giving one of our travel advisiors a call. Other convenient options are taking a cab or renting a car at the airport.